To paraphrase Olivia Newton-John: Let’s get visual. One of my favorite hobbies is what I call in situ art photography. I visit art museums and take pics of bits of art. Flash off, of course. I use my moribund BlackBerry Torch and always have fun. Of my favorite painters, Mark Rothko promptly comes in #1. 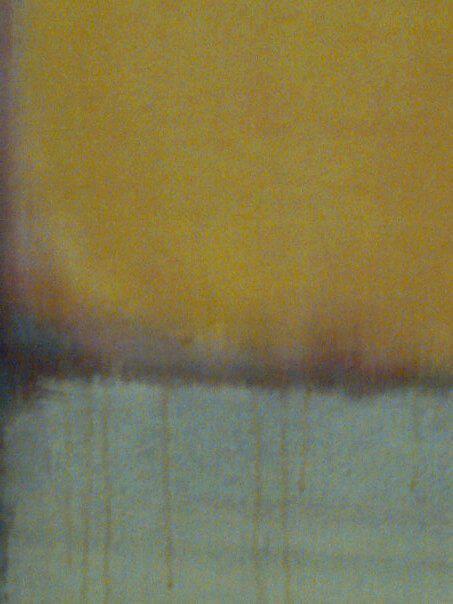 If I ever could properly practice meditation in which the brain clears of thoughts, and I mean the plural, since there’s never just one thought in there for me, I’d need a Rothko as a prop: the much-ballyhooed focal point. 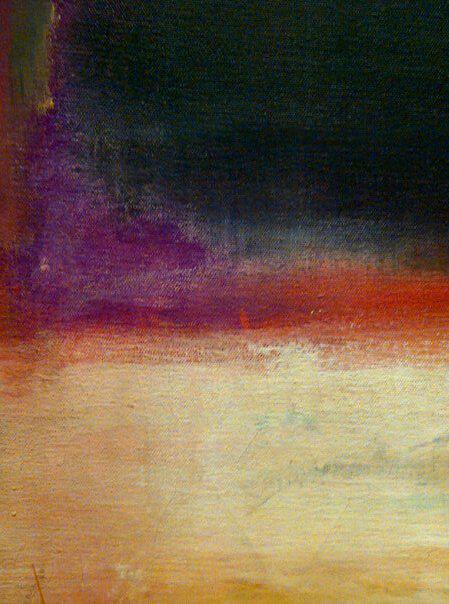 Sitting and staring at a Rothko whole, I go somewhere else in my head. It’s a good place. Better brain waves? Improved ions? Grooving on color waves and blends? A spike of oxytocin in the blood? I sit and stare. And then I get up, Ye Olde BlackBerrye in hand, and go at it. The slices I find are NOT arbitrary. They are carefully considered. 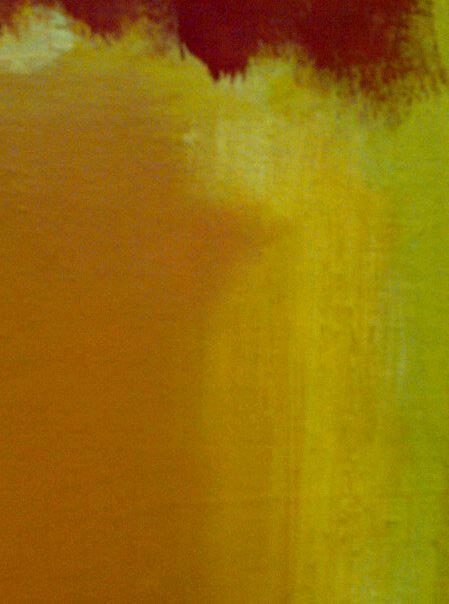 I don’t do this just with Rothko. 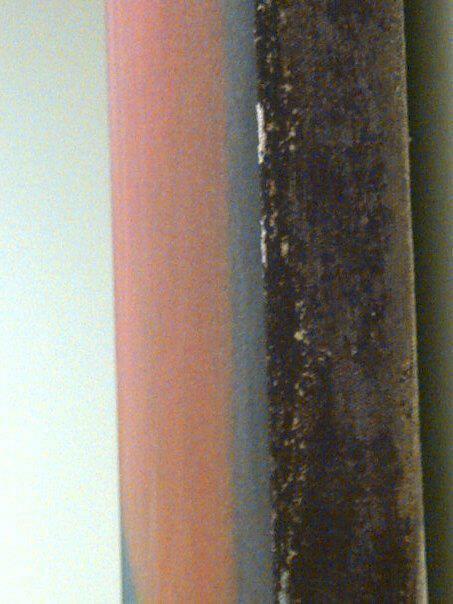 But with Rothko comes strata. Within the slurry, layers. Think of bicolor tourmaline, colors stacked yet flowing. Another analogy, perhaps better: the parfait served to children at the Village Bath Club in Manhasset, New York, in the 1970s. Tulip glass, colorful syrups (strawberry? mint? an orange cousin to Baby Tylenol?) in bands. From syrup to (probably Sealtest brand) vanilla ice cream to syrup, a blurring edge. All the way up the glass.